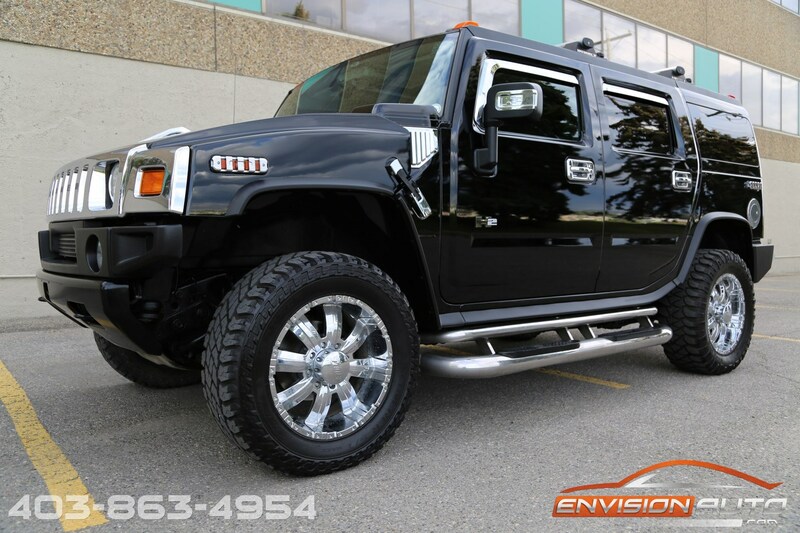 2006 H2 Hummer SUV Luxury Package – Air Ride – CHROMED OUT! 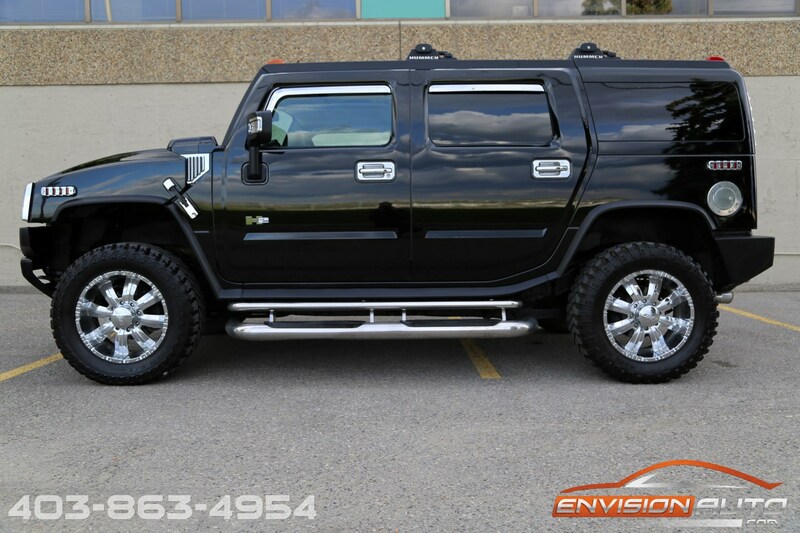 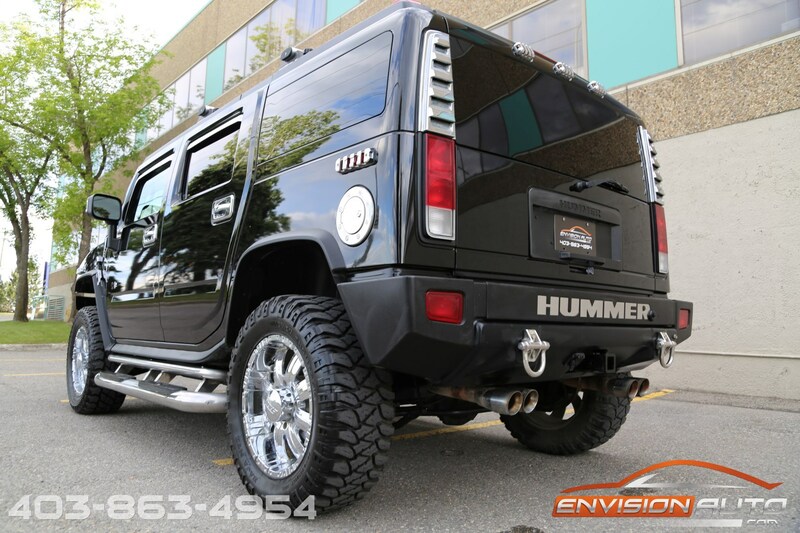 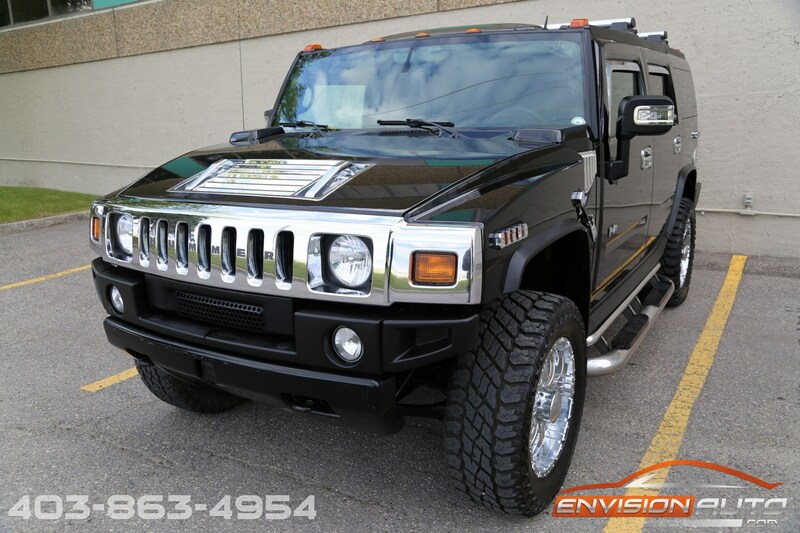 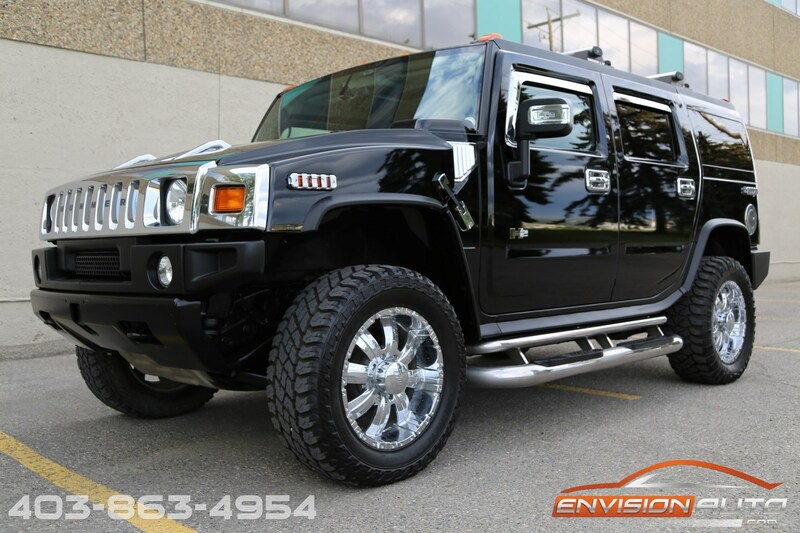 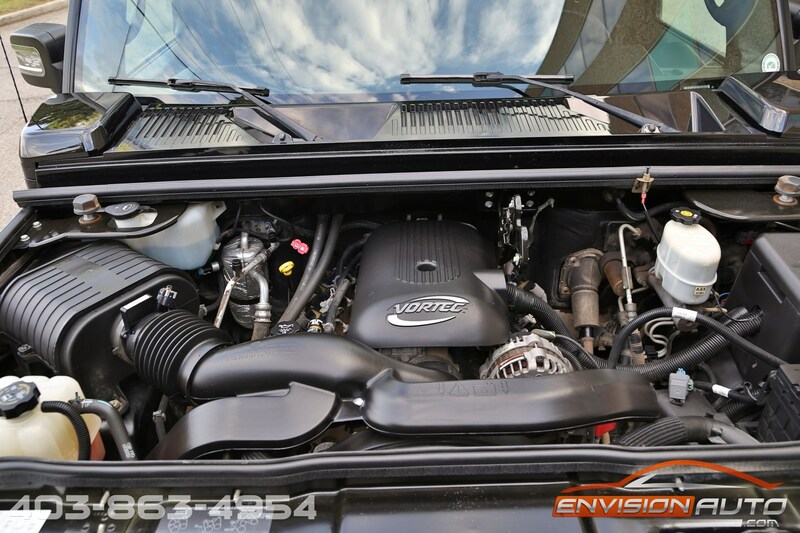 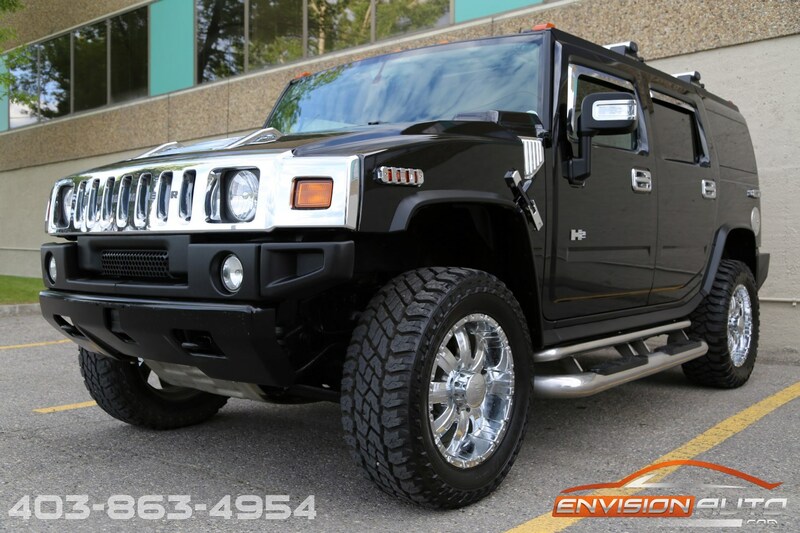 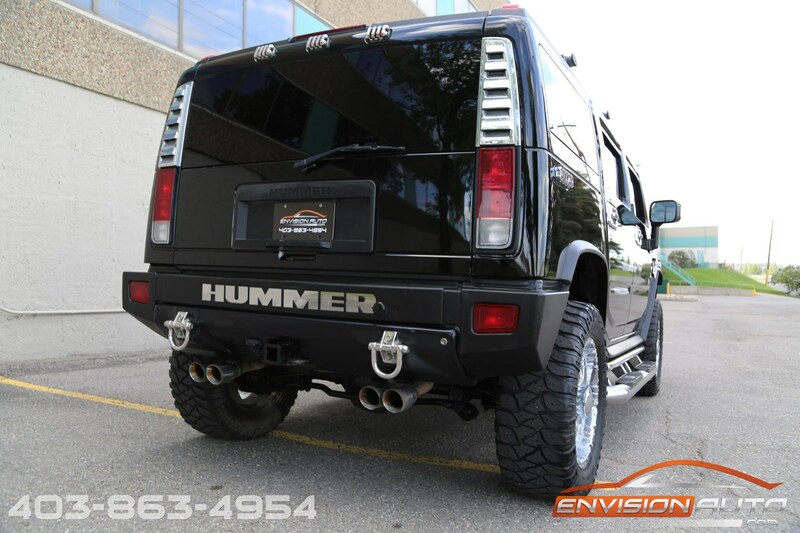 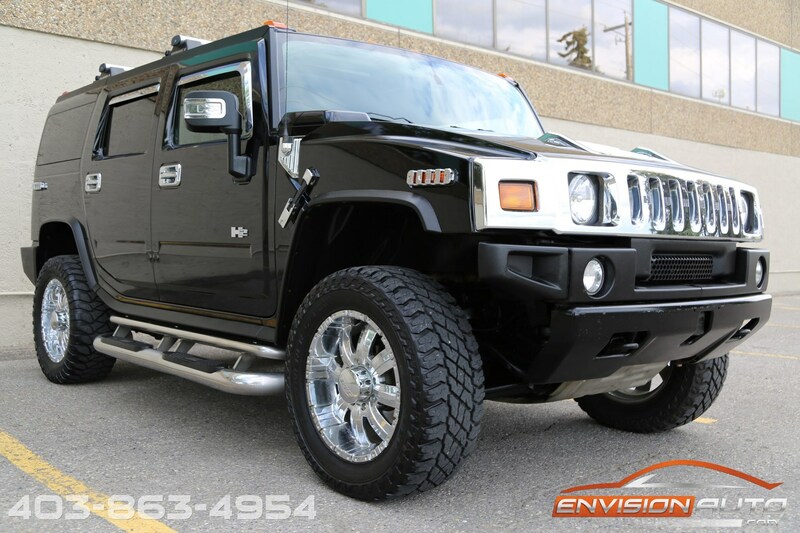 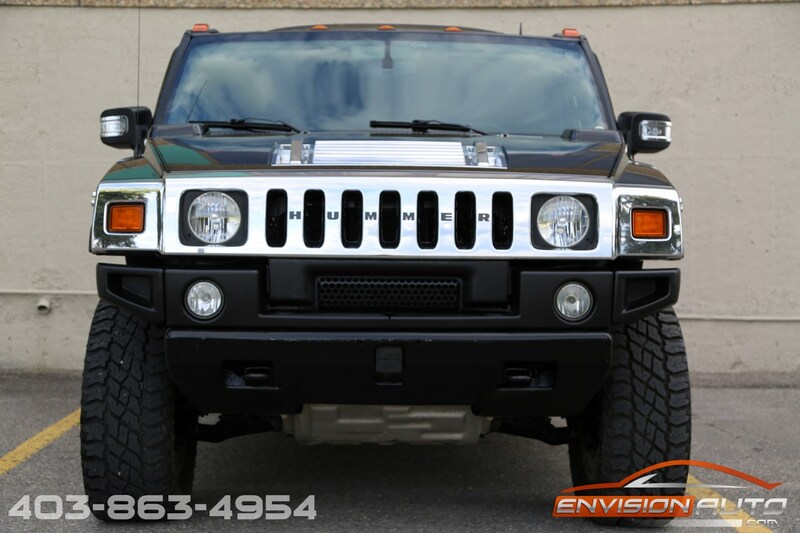 More Details : – 100% SPOTLESS CARPROOF HISTORY REPORT – ONLY 112,000 KILOMETERS – LOCAL CANADIAN H2 HUMMER SINCE NEW!! 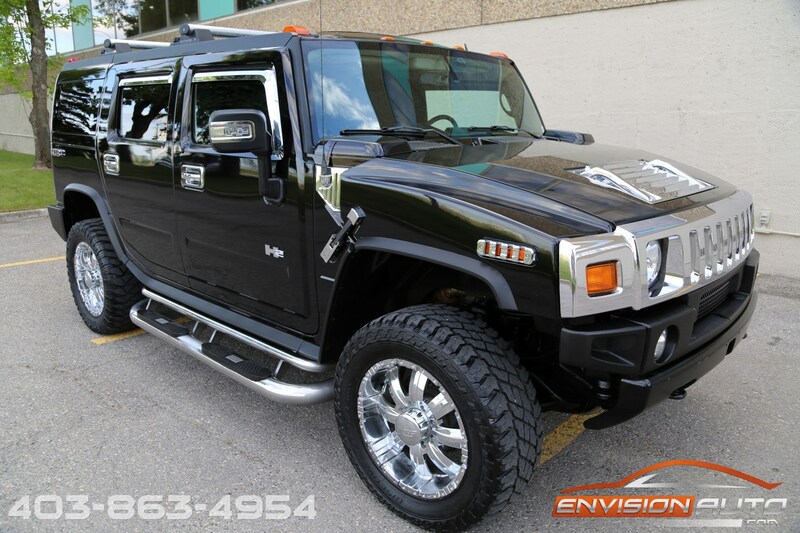 LOADED LOADED LOADED! 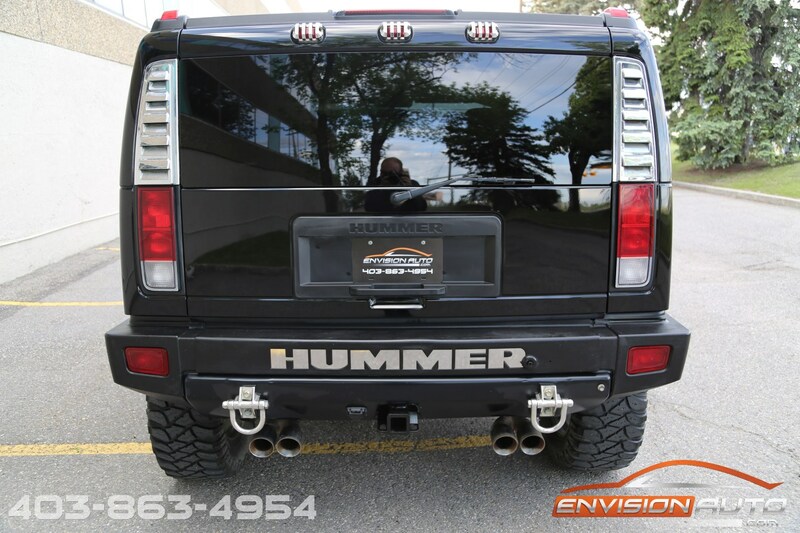 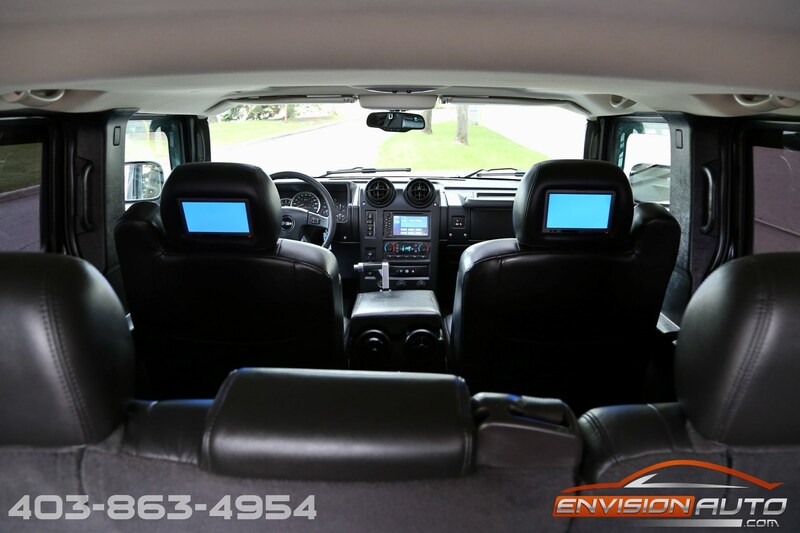 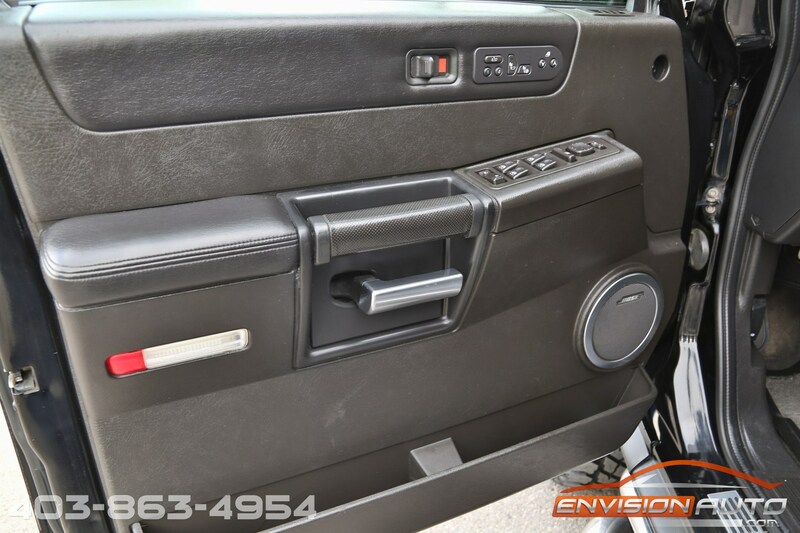 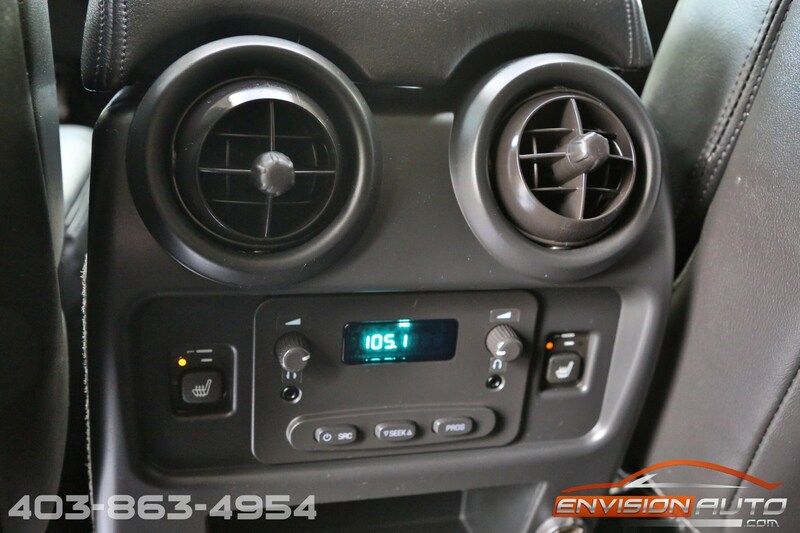 REAR DVD ENTERTAINMENT PACKAGE – AIR RIDE SUSPENSION – LUXURY PACKAGE – NAVIGATION – 6 PASSENGER – CUSTOM CHROME EXTERIOR! 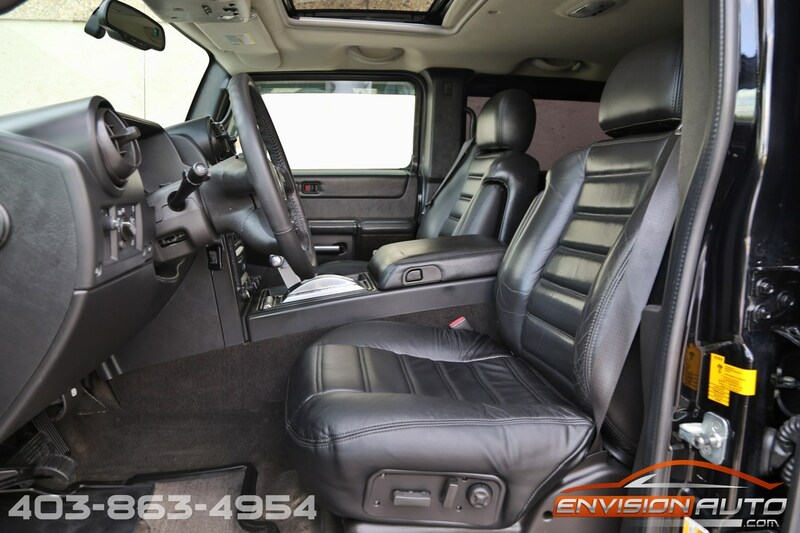 Absolutely no previous accident history and no previous insurance claim history – SPOTLESS CarProof history report since new! 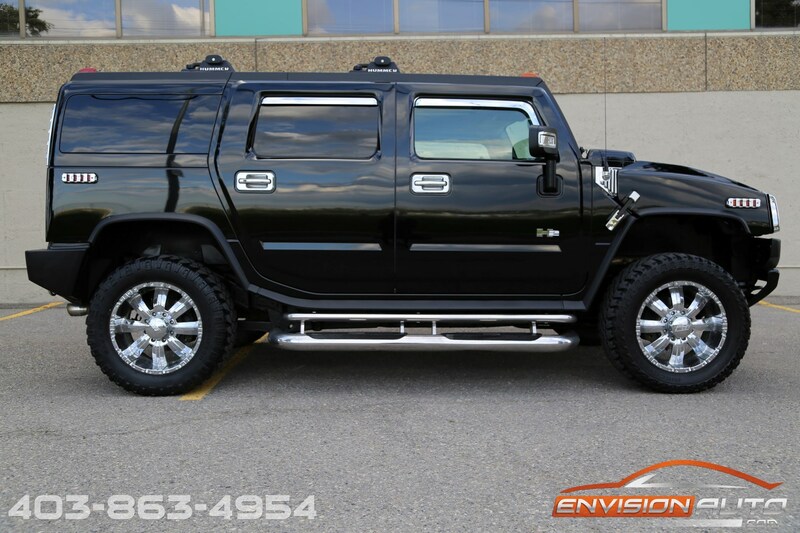 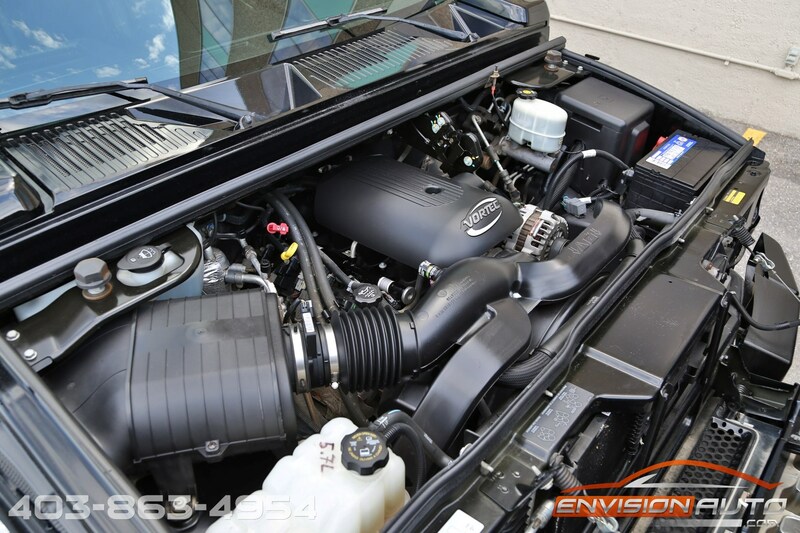 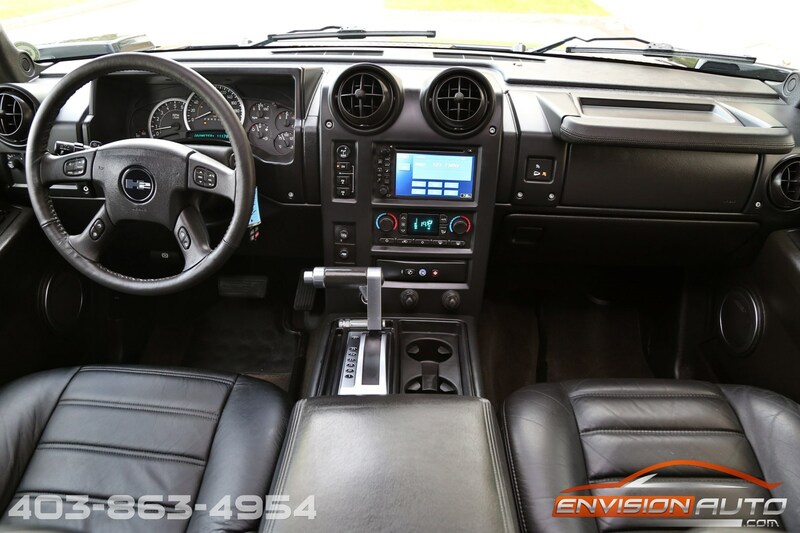 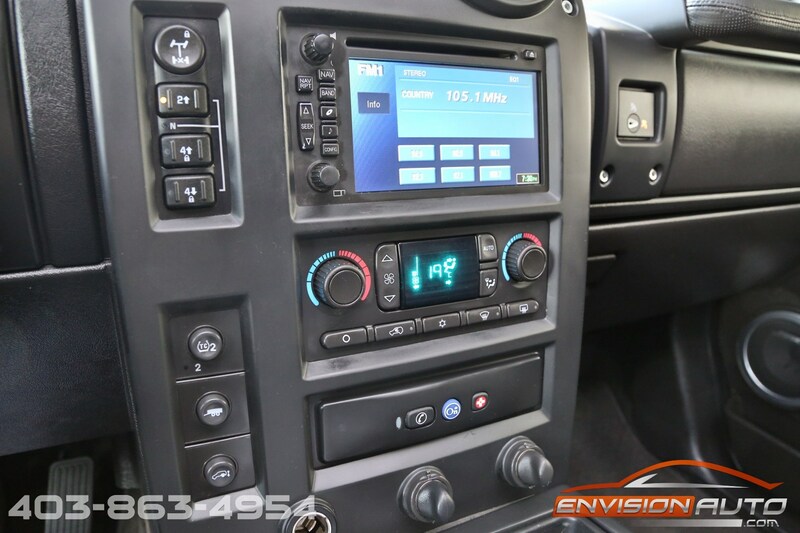 This is one loaded up to the max H2 Hummer – every single available factory option is on this 2006 Hummer. 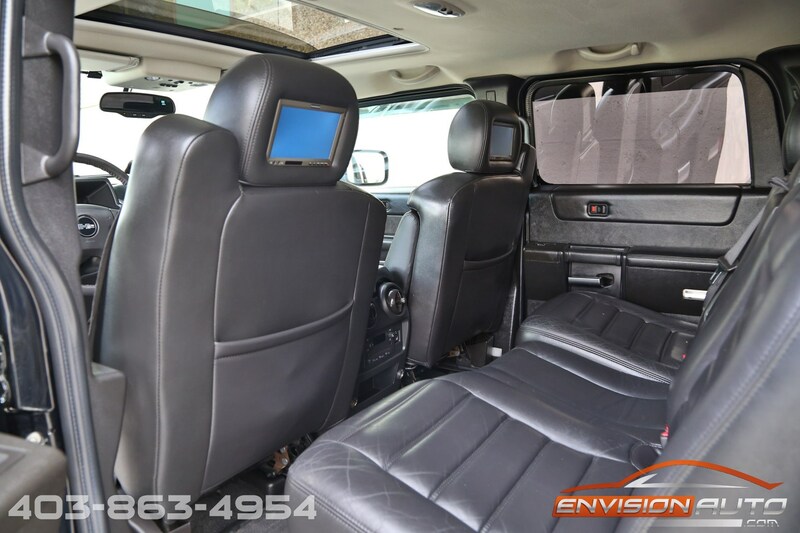 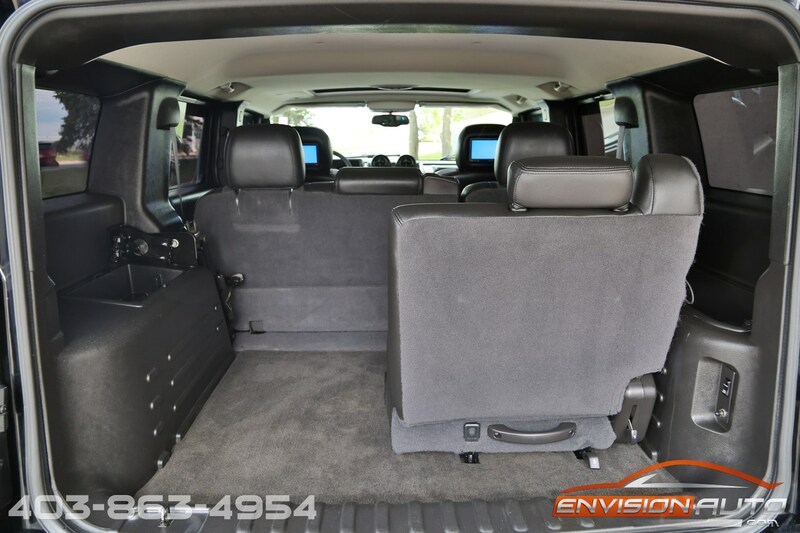 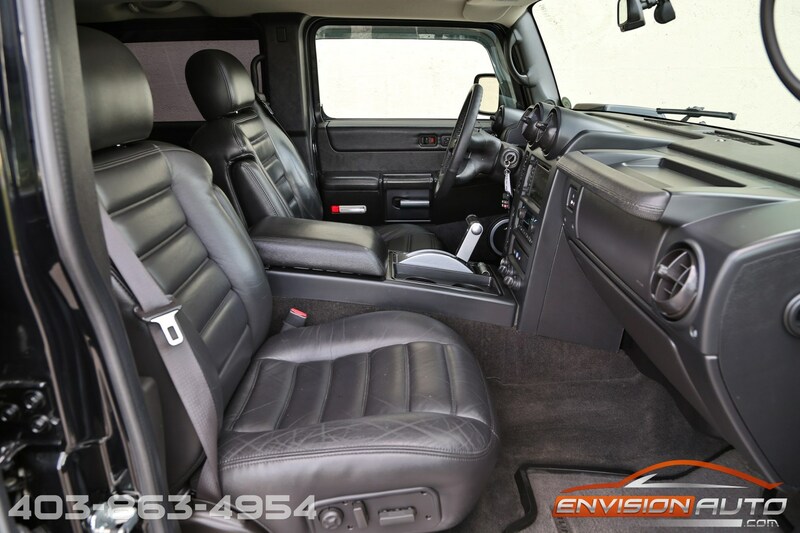 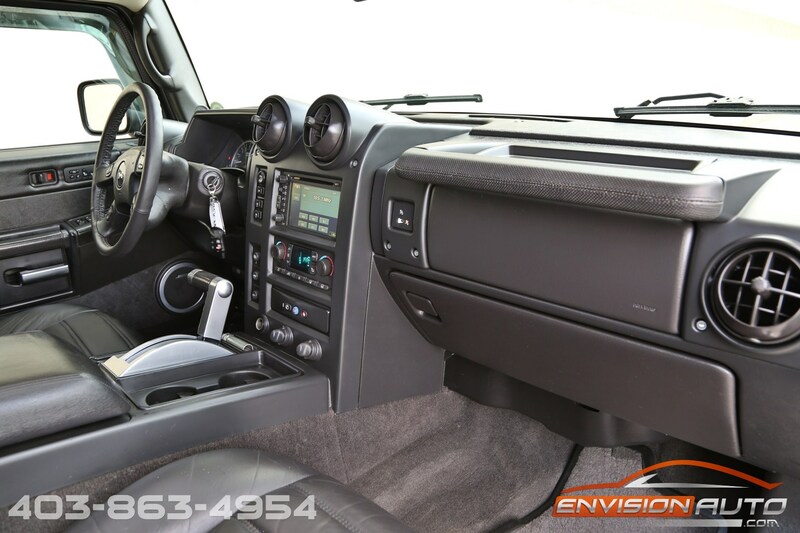 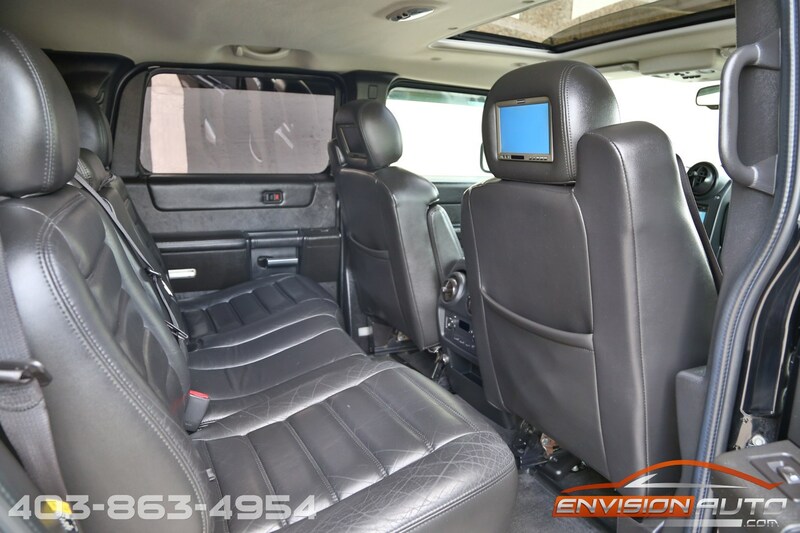 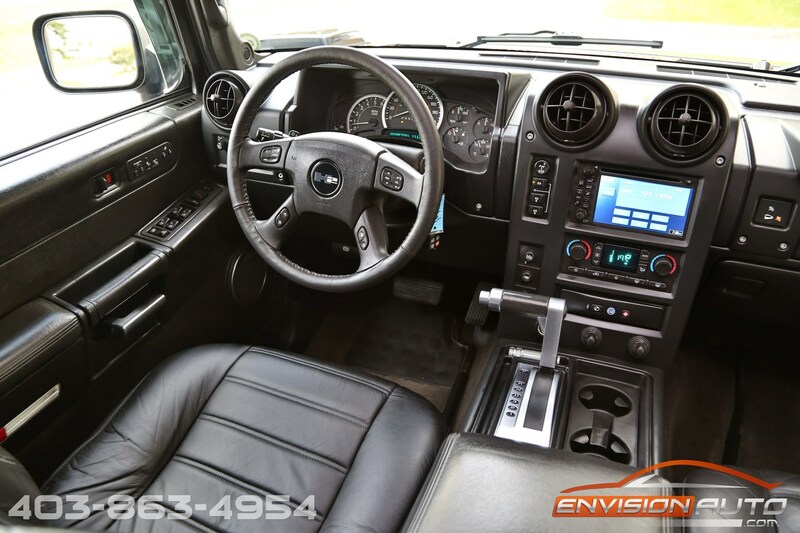 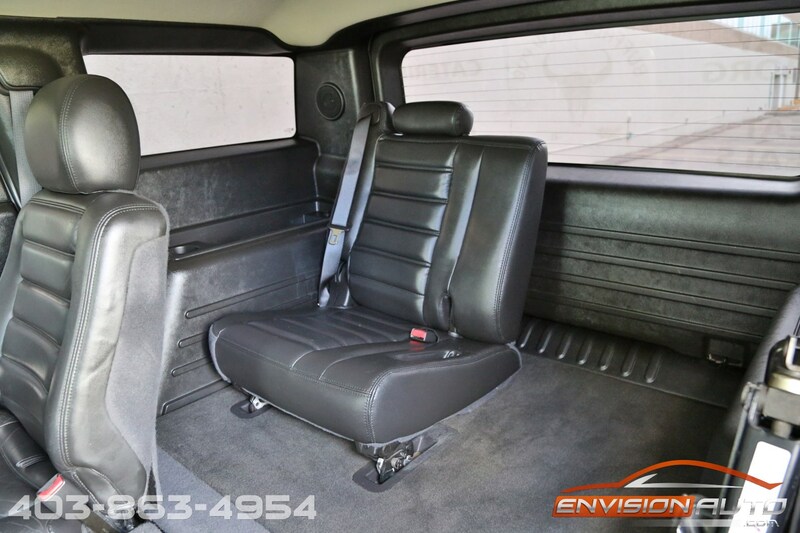 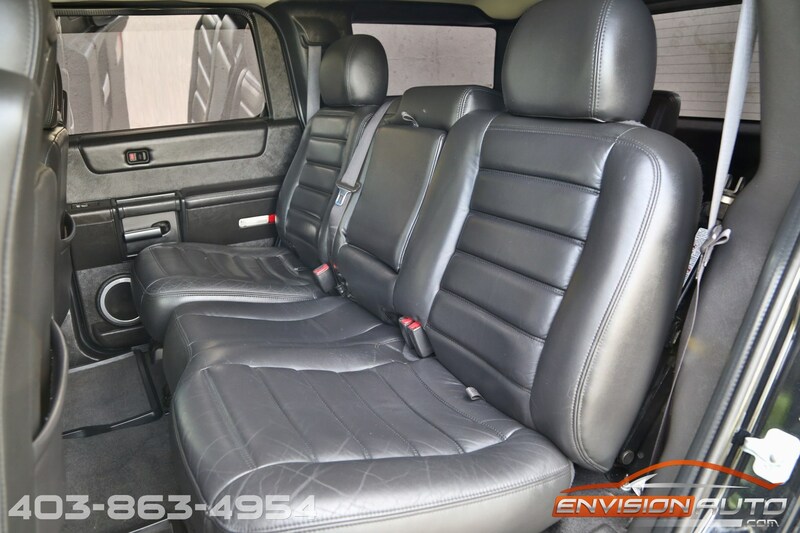 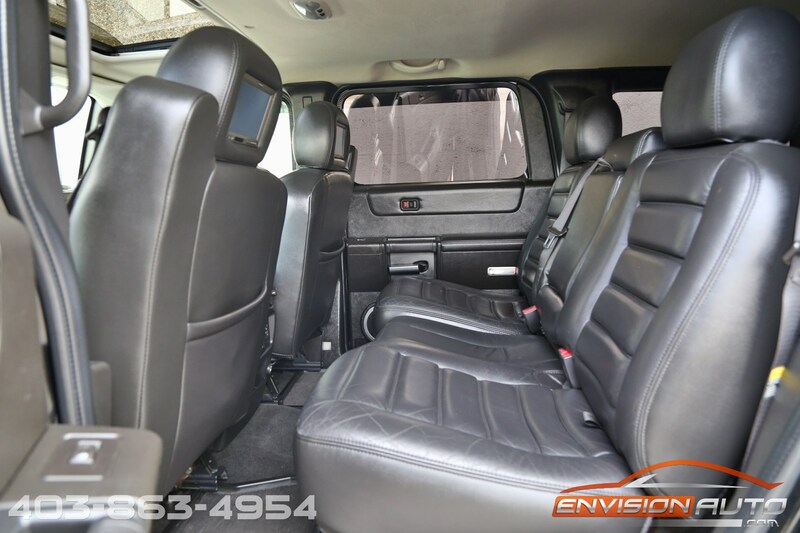 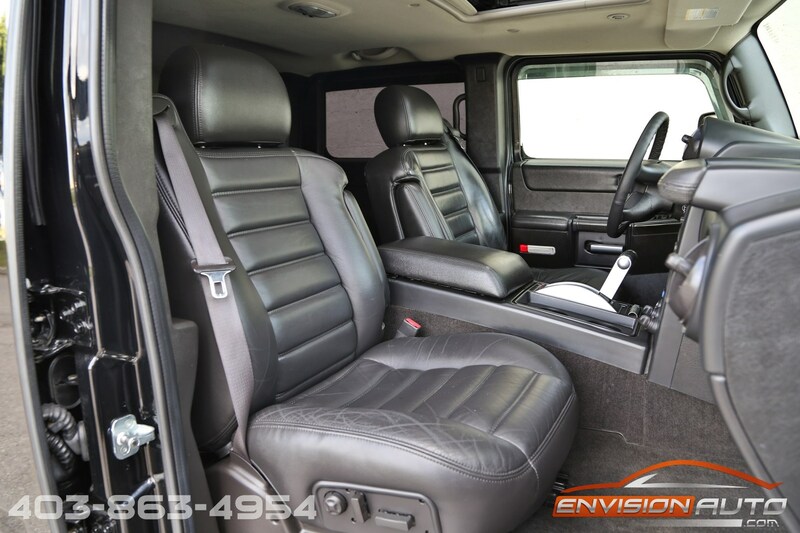 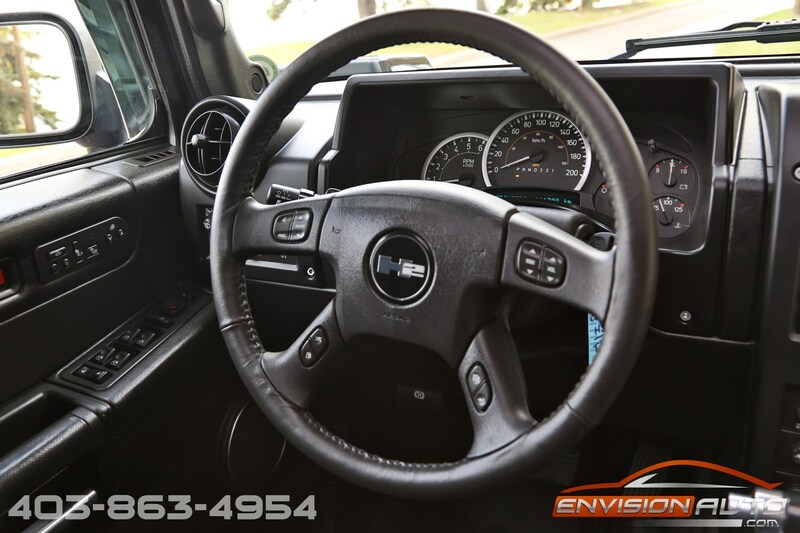 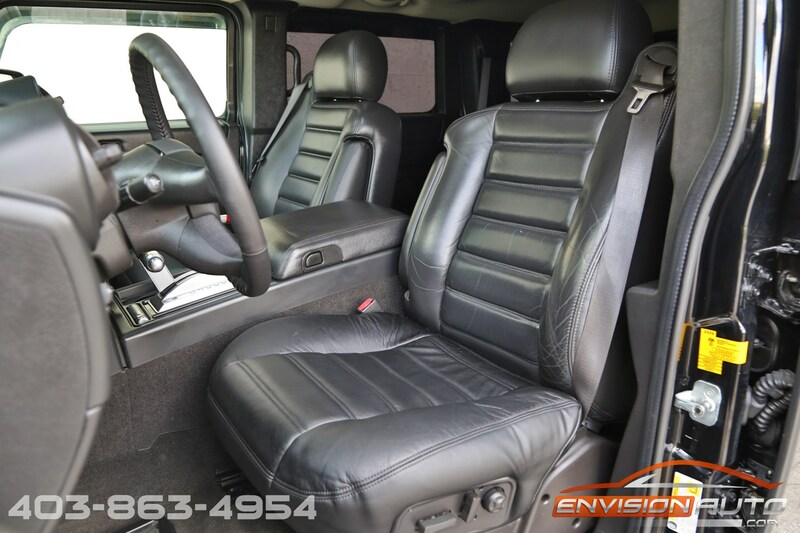 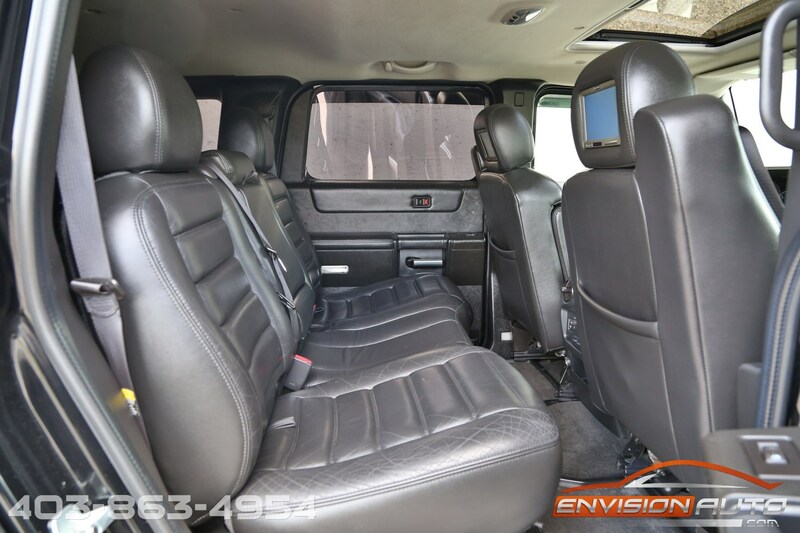 Starting off with the luxury package featuring soft black leather interior, factory navigation, air ride suspension, rear dvd entertainment package, and seating for six with a removable third row seat. 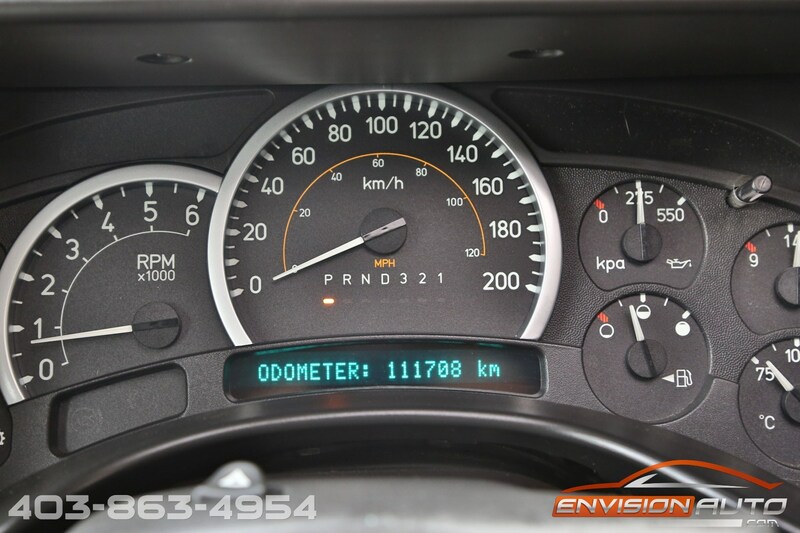 A two way aftermarket starter is also included. 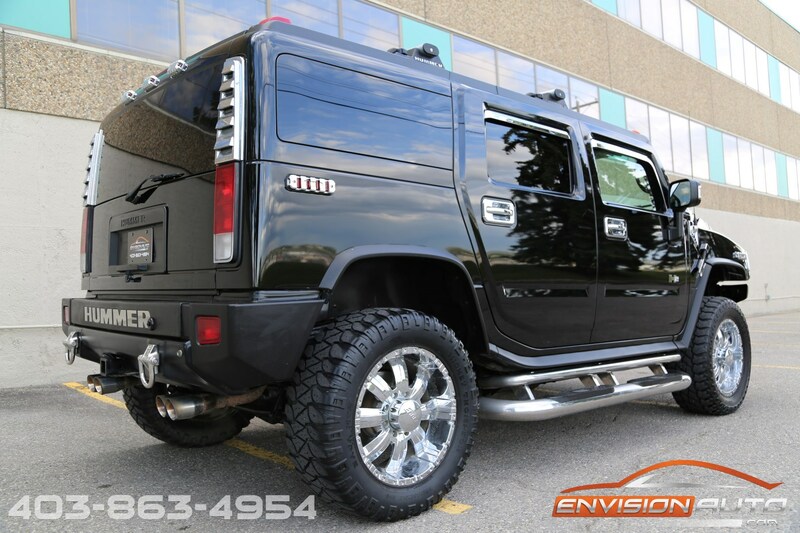 Extremely upgraded on the exterior with chrome accents throughout and a custom set of chrome 20inch wheels and 35 x 12.50 x 20 tires.